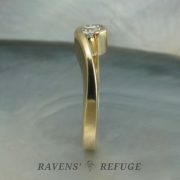 Elegant and feminine, this 1/4 carat SI/G-H diamond solitaire is embraced by the graceful lines of its 14k gold setting. 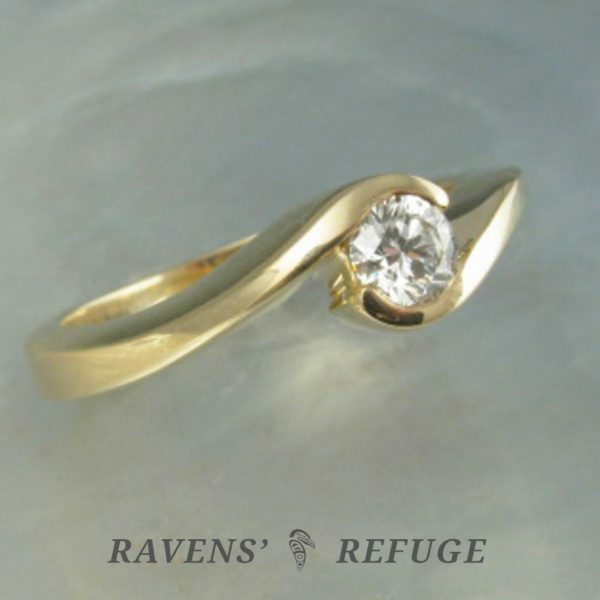 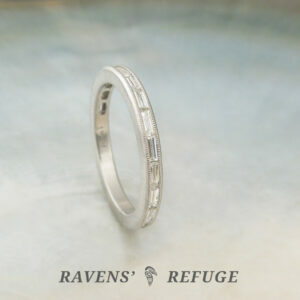 A nestling wedding band is available for purchase separately. 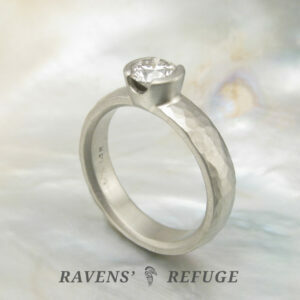 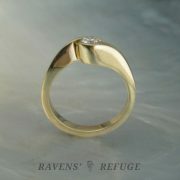 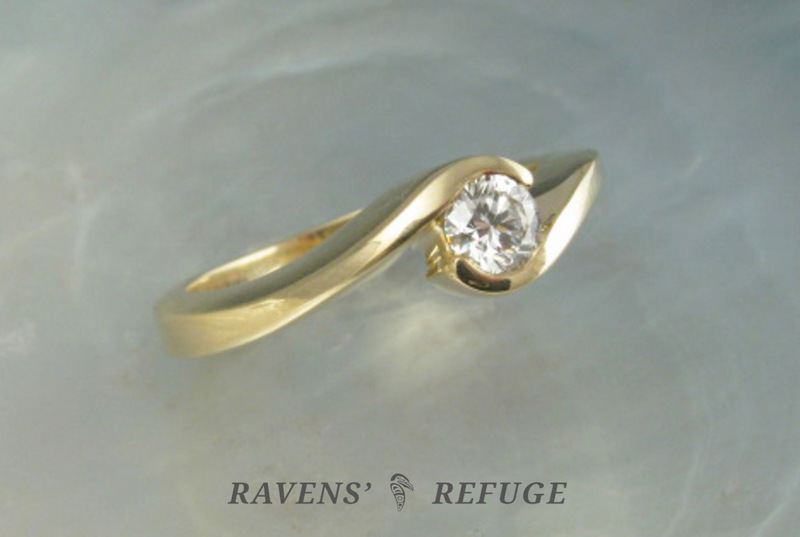 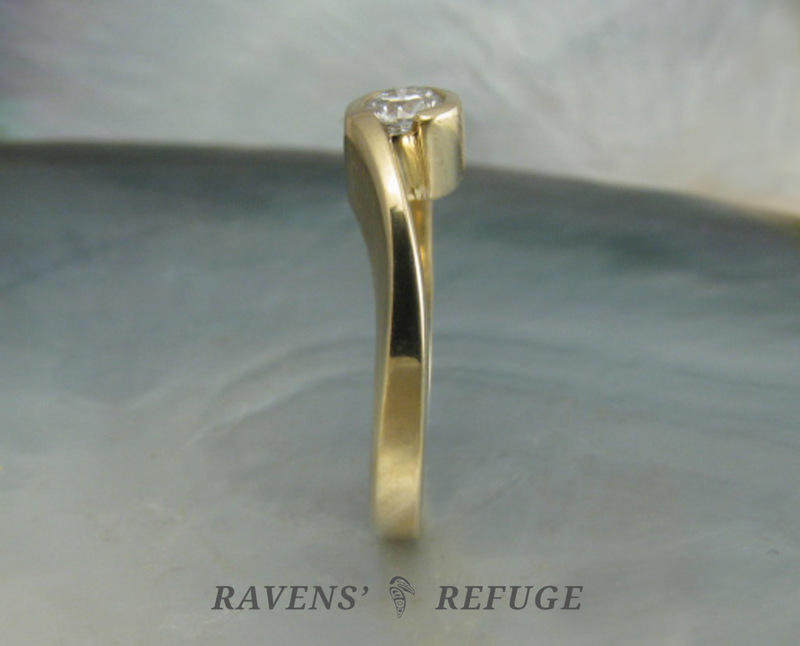 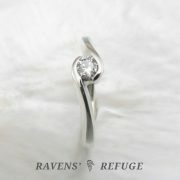 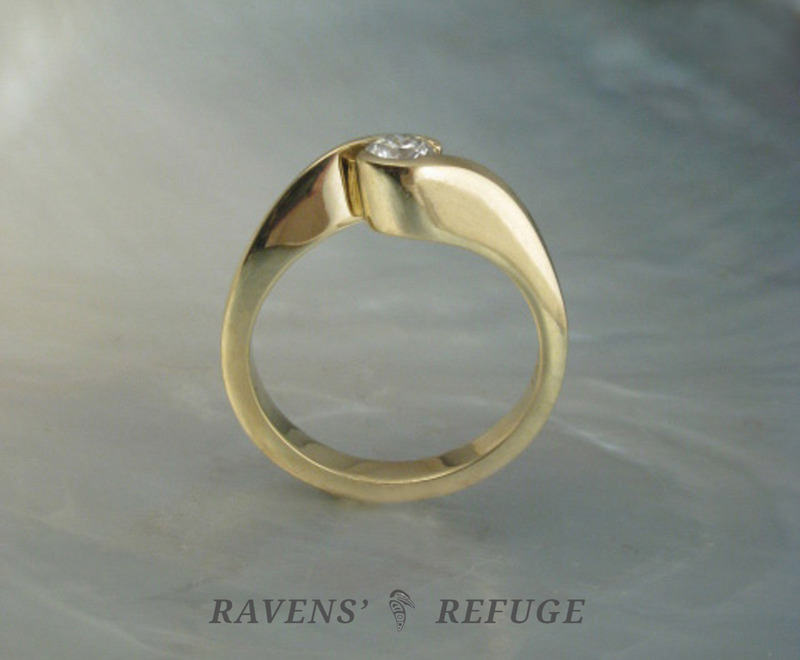 The width at the top of the setting is 5.6mm for the engagement ring itself; and 6.6mm along with the wedding band. 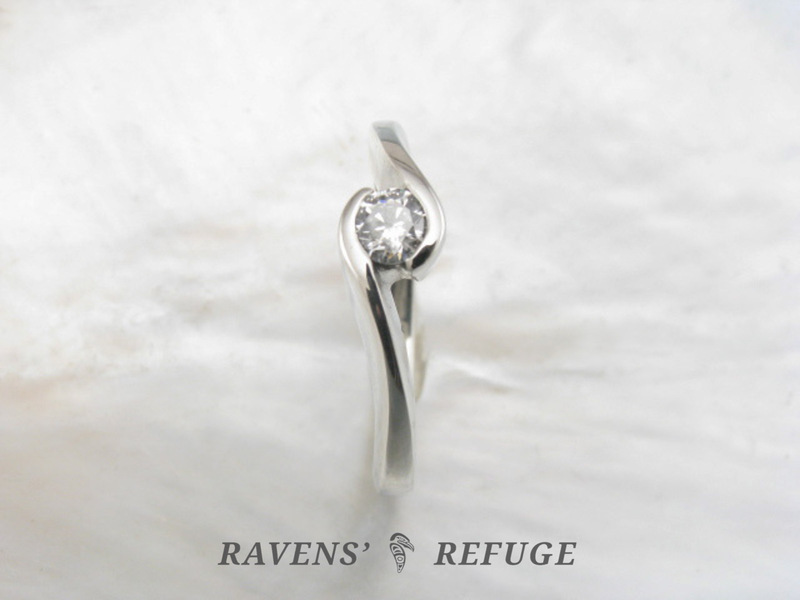 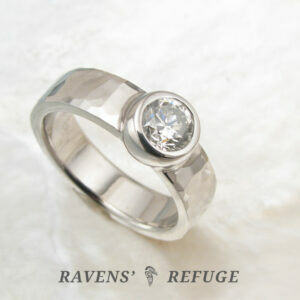 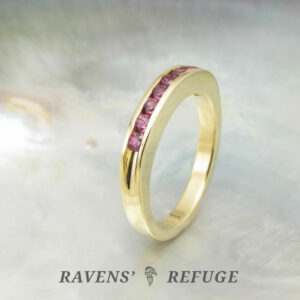 The height of the setting is 4.5mm, and the band tapers to 1.65mm at its base.